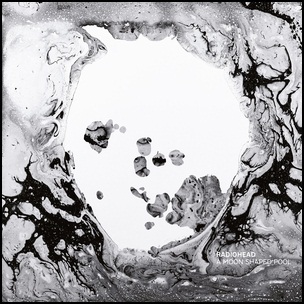 On May 8, 2016, Radiohead digitally released “A Moon Shaped Pool”, band’s ninth studio album. CD and LP releases followed in June 2016 on “XL Recordings”. Through its website, the band also sold a special edition containing two extra tracks and additional artwork. The album material was recorded 2014-2016, at “La Fabrique Studios”, in Saint-Rémy-de-Provence, France, and “RAK Studios” in London, and was produced by Nigel Godrich, Colin Greenwood, Jonny Greenwood, Ed O’Brien, Philip Selway and Thom Yorke. “A Moon Shaped Pool” was voted album of the year by “Exclaim”, “Slant Magazine” and “The Sunday Times”. All tracks by Colin Greenwood, Jonny Greenwood, Ed O’Brien, Philip Selway and Thom Yorke.